Close to town there is a beautiful river called Espolon. Class II, flat moving water with some tree and debris obstacles. 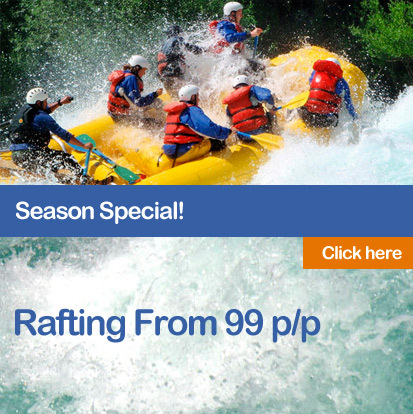 1 hour and a half of tranquil waters ideal for first-timers or families that want to enjoy a memorably pleasant experience without having to experience any challenging rapids. Especially designed for families and children.